It may have taken five days but online repair manual and teardown experts iFixit have got their hands on one of Google’s new Nexus 7 tablets. In customary fashion, they have taken the ASUS-made 7-inch device apart and as they did so, revealed details about the manufacturers and components used in the making of the device. The iFixit team are quick to point out the difference between the shells on the Nexus 7 and the iPad, noting that a one millimeter difference is what lies between making the Google device serviceable and the new iPad not. Inside, the Nexus 7 has a 4326 mAh battery that can handle almost ten hours of usage. The interesting this here is that the Kindle Fire — with its bigger 4400 mAh battery — only achieves 7 hours 42 minutes in tests. ASUS has manufactured the Nexus 7 with Phillips screws, not a proprietary fixing like the screws used in Apple devices. 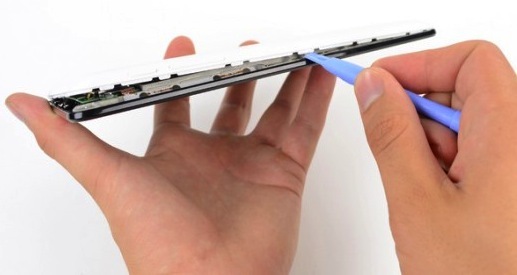 This makes it easy to open the tablet and repair its internals should it be dropped. When it comes to memory, the Nexus 7 has 1 GB of Hynix H5TC2G83CFR DDR3 RAM under the hood, which incidentally is the same type of memory in the Retina Display MacBook Pro models. Joining it is a NVIDIA T30L Tegra 3 processor, Max 77612A inverting switching regulator, AzureWave AW-NH665 wireless module, Broadcom BCM4751 integrated monolithic GPS receiver and Invensense MPU-6050 gyro and accelerometer. 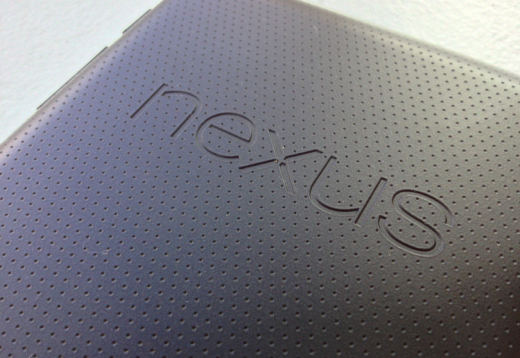 You can check out the full teardown of the Nexus 7 over at iFixit here.